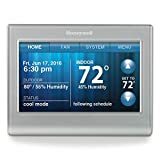 A smart thermostat is often one of the first “smart home” devices people purchase for a few different reasons. First and foremost, it’ll save you money. By putting some next-generation smarts to work, even the most basic smart thermostat can offer serious savings on your utility bill. 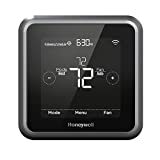 Smart thermostats are also very easy to install, and another reason people like them is the fact that you never need a separate smart home hub to use them. 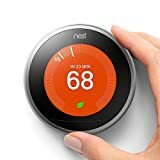 Speaking of controlling smart home devices without the need for a hub, Alexa has officially invaded the smart thermostat space and made controlling the heating and air conditioning in your home easier than ever. In this post, you’ll find five fantastic smart thermostats that all work perfectly with Amazon Alexa.